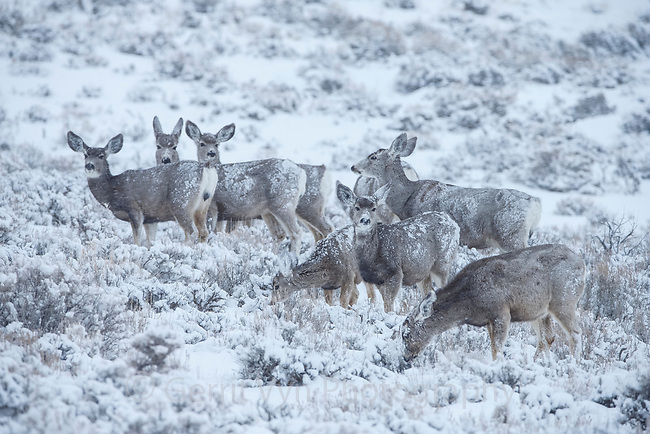 Mule Deer browsing on sage during a winter snow storm. Sublette County, Wyoming. March.